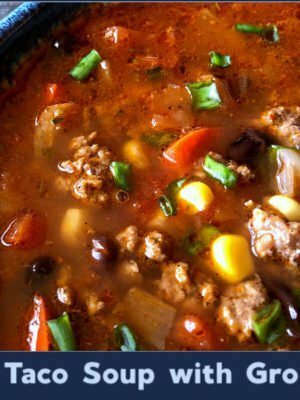 You know how sometimes you take advantage of your slow cooker to make up a big batch of salsa pork or carnitas, and then dinner is soooo gooood, but then you end up with all this salsa pork left over… and sometimes you want a little variety in your weeknight dinners? 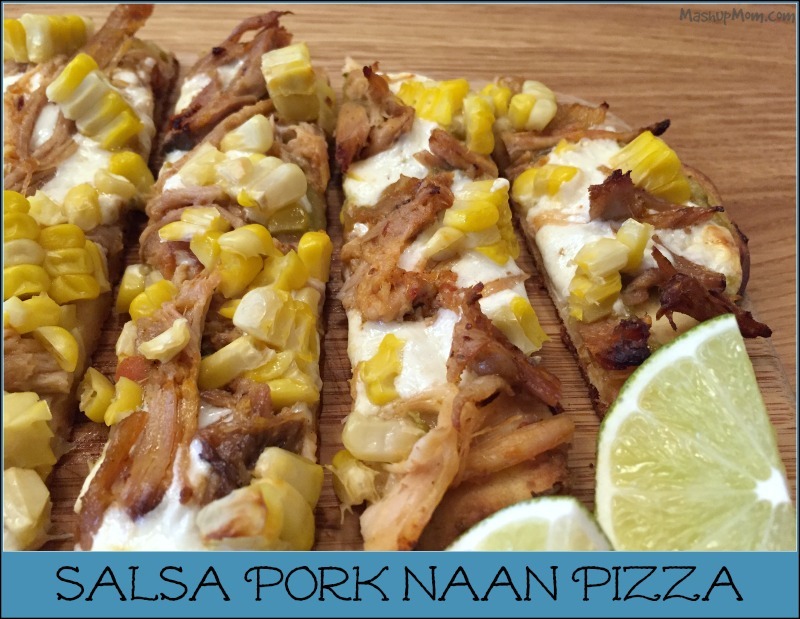 Salsa pork does freeze really well for later, but this week I instead decided to have a little fun with my leftovers and throw together this Salsa Pork Naan Pizza! Place naan on two baking sheets, then pre-bake at 400 degrees for three minutes to brown slightly. Remove naan from oven and spread salsa verde thinly on each piece, then top with sliced mozzarella, shredded pork, and corn. Bake at 400 degrees for about 17 minutes or until cheese is melted and bubbling and naan and pork are browned, switching trays between oven racks halfway through. Squeeze a little fresh lime juice onto each pizza, slice, and serve hot. 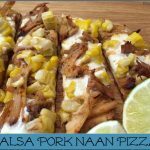 Salsa pork naan pizza is a whole new easy 25 minute weeknight dinner made with leftovers — how’s that for a deal? 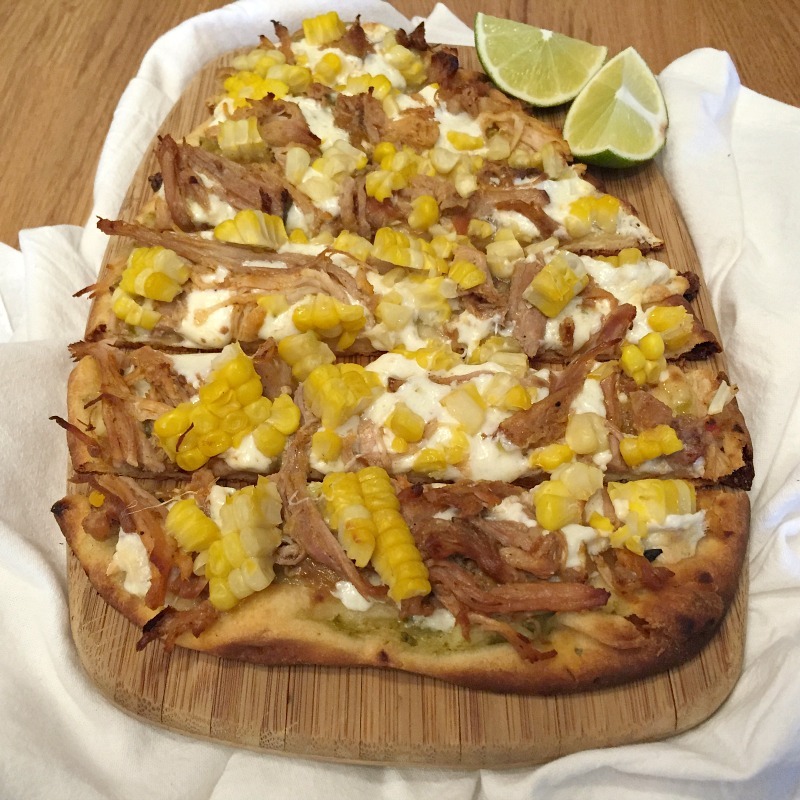 The juicy corn provides a nice contrast to the crisped-up pork and chewy naan, while the splash of lime juice brightens everything up, so everything here works together to create a whole new taste sensation. 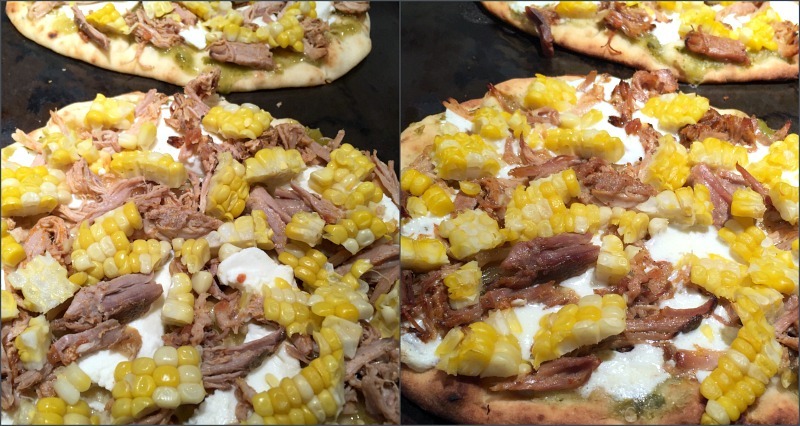 If you like pork tacos and you’re also a fan of flatbread pizza, try this recipe mashup the next time you have some leftover shredded pork to use up. 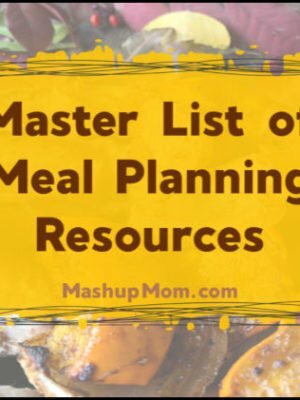 If you like pork tacos and you're also a fan of flatbread pizza, try this recipe mashup the next time you have leftover shredded pork to use up. Place naan on two baking sheets, then pre-bake at 400 degrees for three minutes to brown slightly. Remove naan from oven and spread salsa verde thinly on each piece, then top with sliced mozzarella, shredded pork, and corn. Bake at 400 degrees for about 17 minutes or until cheese is melted and bubbling and naan and pork are browned, switching trays between oven racks halfway through. Squeeze a little fresh lime juice onto each pizza, slice, and serve hot. 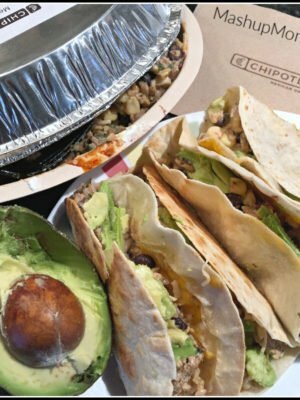 You could probably chop some cilantro and/or jalapeño and throw it on here, too, if you're a cilantro or pepper sort of person.